Epilepsy is a disorder that causes abnormal brain activity that leads to seizures. The disorder can occur in anyone, regardless of age or ethnicity. The symptoms of epilepsy can range from periods of blank staring during a seizure, twitching of arms and legs, to seizures that cause loss of consciousness. In addition to a variety of symptoms, there are also multiple causes of epilepsy. 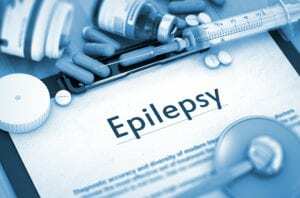 Elderly Care Salisbury NC – What Are the Causes of Epilepsy? Seizures can last anywhere from just a couple of seconds to a couple of minutes. They occur when activity in the brain briefly changes. Seizures don’t always look like the dramatic events commonly shown on television where a person falls to the floor shaking and jerking. In fact, it can sometimes be hard to tell when a person is having a seizure because the only sign may be staring into space. Focal Seizures: Focal seizures are sometimes referred to as partial seizures because they affect only one part of the brain. Generalized Seizures: A generalized seizure impacts both sides of the brain. Jerking of the arms and legs. Losing consciousness or being unaware of their surroundings. Feeling anxious, scared, or a sense of déjà vu. If your older family member has a seizure that lasts longer than 5 minutes or if they don’t regain consciousness afterward, call 911. They should also receive medical attention if they injure themselves during the seizure. Genetics: Epilepsy can run in families, suggesting a genetic link. Scientists have identified some genes that are associated with epilepsy. However, they believe that in most cases, genes are only part of the cause. Head Injury: A serious head injury may lead to epilepsy. Stroke: According to the Mayo Clinic, stroke is one of the main causes of epilepsy in adults. Brain Tumors: Brain tumors can sometimes cause epilepsy. Neurological Diseases: Conditions that affect the neurological system, like Alzheimer’s disease, can lead to epilepsy. Infection and Viruses: Infections and viruses that affect the brain, like parasites and influenza, are causes of epilepsy. Down Syndrome: People with Down syndrome are more susceptible to developing epilepsy. Elderly care can assist older adults with epilepsy. An elderly care provider can keep your aging relative safe during a seizure, ensuring they don’t injure themselves. They can also call for emergency medical treatment if the seizure is too severe or lasts longer than it should. Elderly care providers can also remind seniors to take medications to prevent and control seizures. If you or an aging loved one are considering Elderly Care Services in Salisbury NC, please contact the caring staff at TenderHearted Home Care today. (704) 612-4132.